I’ve been remiss in not posting about the wonderful new third edition of Axel Hennel’s Playmobil Collector book. This great book is an extraordinarily comprehensive reference guide to Playmobil worldwide, containing 4500 images over 650 pages. 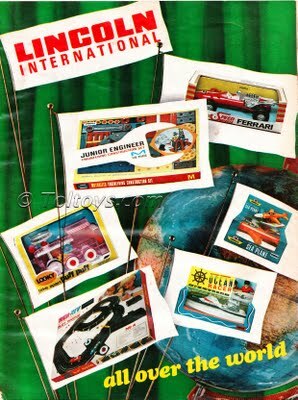 This edition has an expanded Australian Kenbrite section, as well as increased coverage of promotional items and catalogs from all eras and locations. 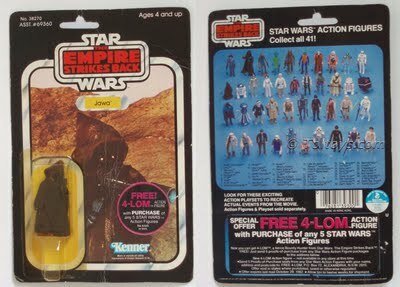 There is even a nifty limited edition available with an exclusive Klicky (single figure)! Indispensible to any Playmobil collector, order one today! 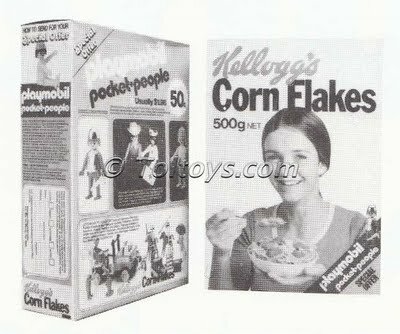 I posted a scan some time ago of a 1977 promotional tie-in between Kellogg’s and Kenbrite, the Australian distributor of Pocket People / Playmobil. At the time I speculated whether it had actually occurred, since an example of the box or other supporting material had not surfaced. I’m delighted to report the recent appearance of the back and side panel of this box, finally proving that the promotion did indeed go ahead. By sending away a 50c money-order (!) and nominating your choice of theme (Cowboy, Knight, Workman or Nurse) you could receive one Klicky (with accessories) from Kenbrite. I was more of a Coco Pops kid so I guess that’s why this one passed me by! The expiry date on the order form is December 31, 1977. 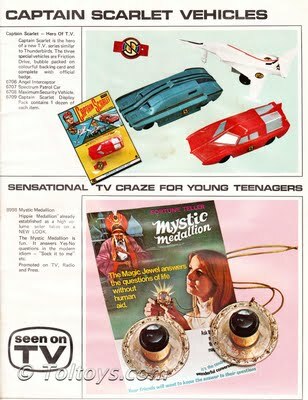 It’s pretty cool to know that stuff like this is still popping up more than 30 years after the fact! I presume the figures were sent bagged, I’d love to hear from anyone who might have sent away for this offer. 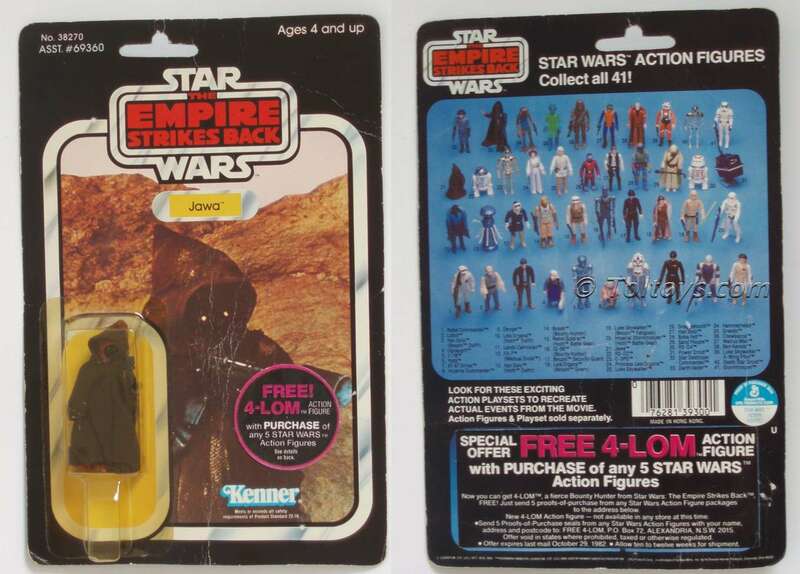 We recently featured a rare example of the Toltoys Free 4-LOM promotion on a Yoda card, and now we have been spoilt again with this 41 Back Jawa above featuring the same front and back sticker combination. Local contributor Aussie James has also come through with the goods, providing us with a great image of the super tough New Zealand issue Toltoys Death Star playset. 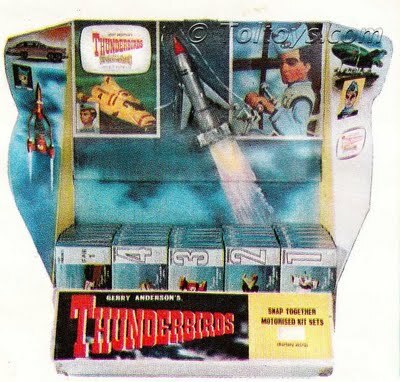 The most obvious point of difference to the Australian version is the box, which has a two piece ‘board-game’ style lift off lid, as opposed to the one piece Australian issue which opens at the ends. 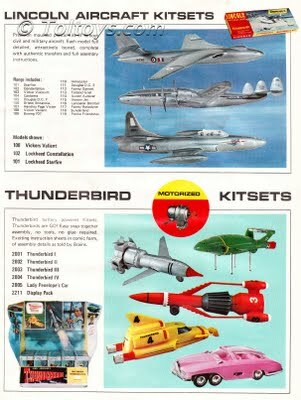 The paperwork is also marked Toltoys New Zealand.